OPPO CHALLENGE: COURGARIN FOR A BRUISIN' OR TORINOING. 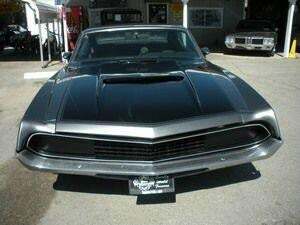 Find me the best 1967-1969Mercury Cougar (V8, 351) OR a 1970-1972 Ford (Gran if it's a 72) Torino for under 15K. BONUS POINTS IF IT HAS THE RAM AIR HOOD, GREEN, AND 351 4V. Why? That was my Mema's car until the late 1980's. Why do I love the 67-69 Cougar and the 69-70 Torino? The grill is so beautiful. AND THEYRE APPRECIATING LIKE CRAZY.